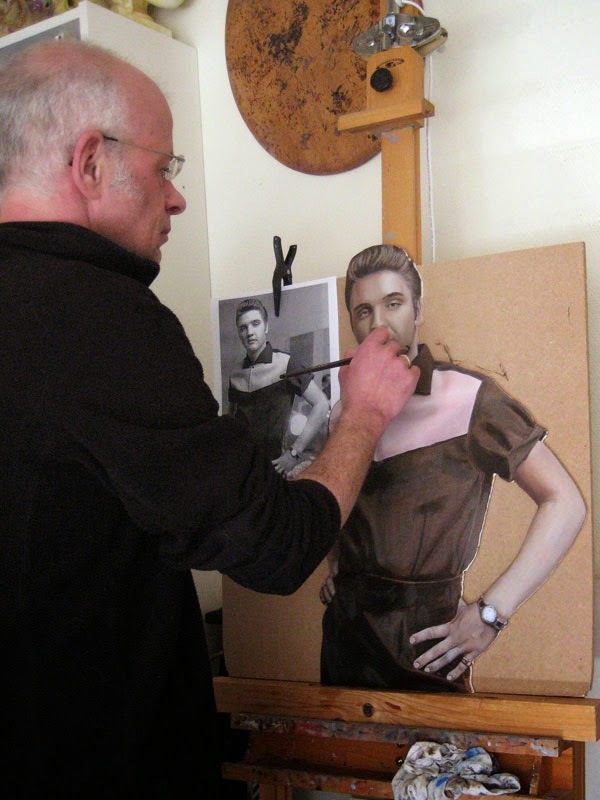 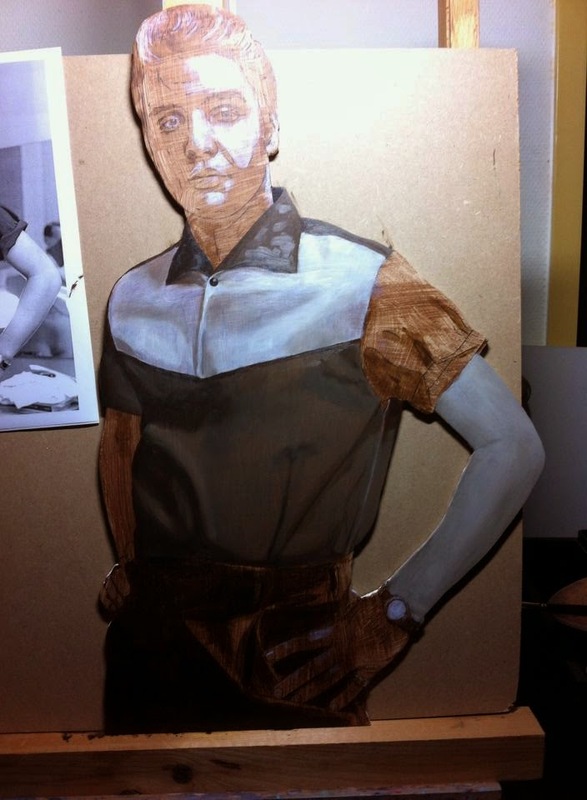 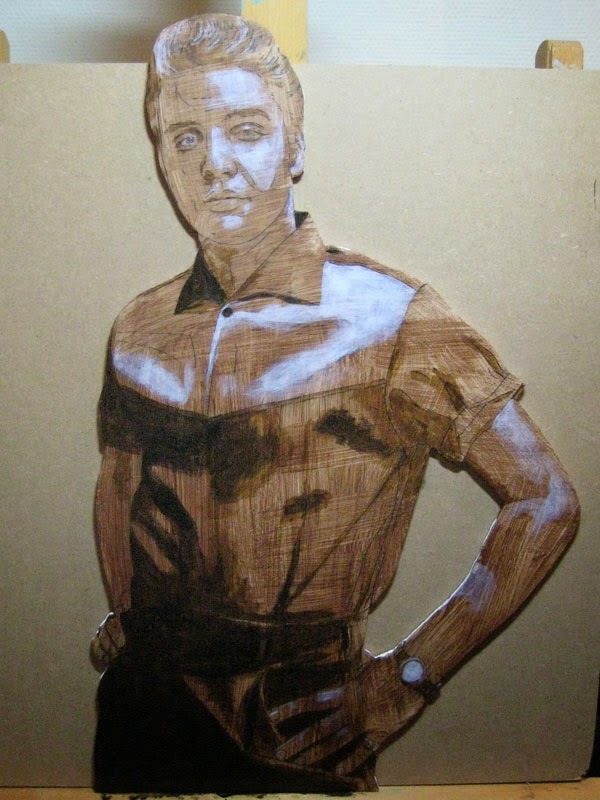 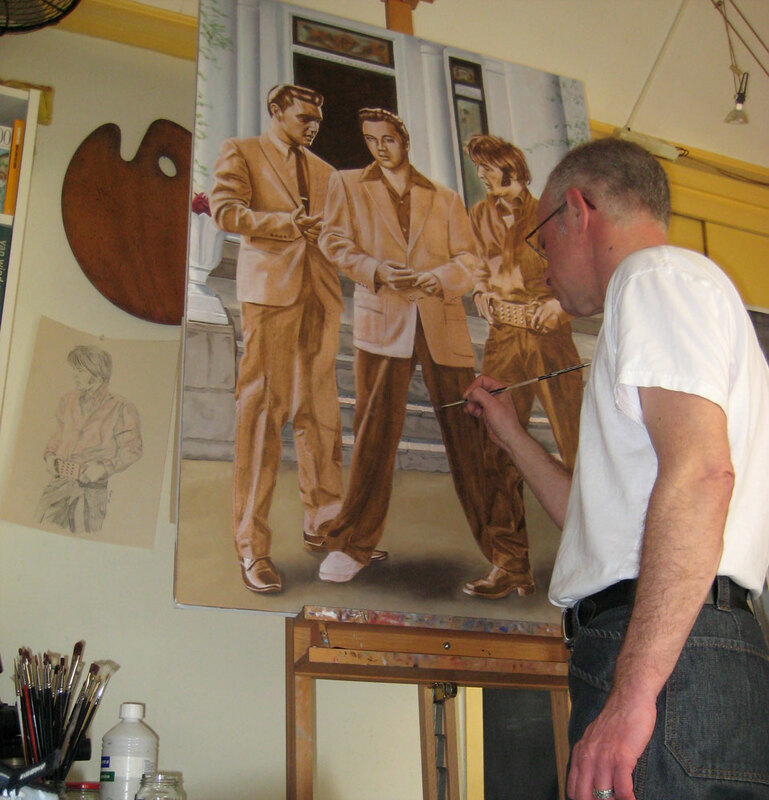 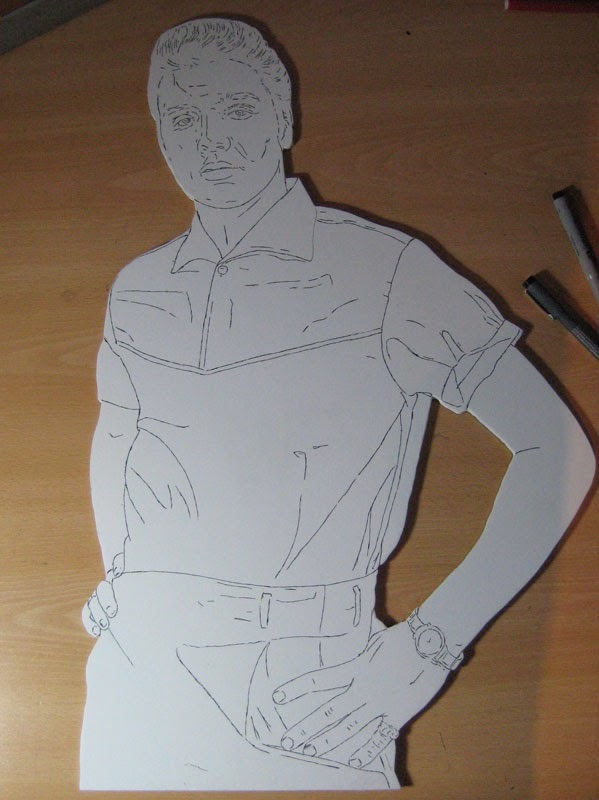 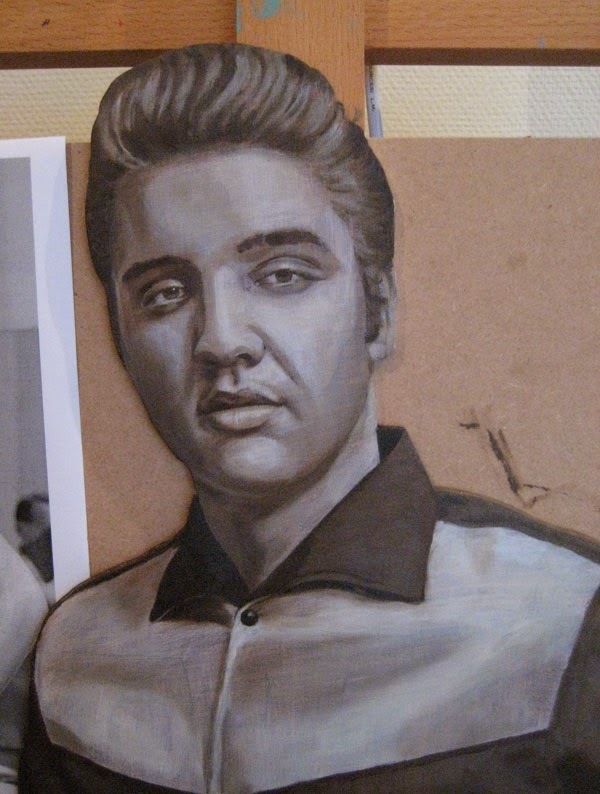 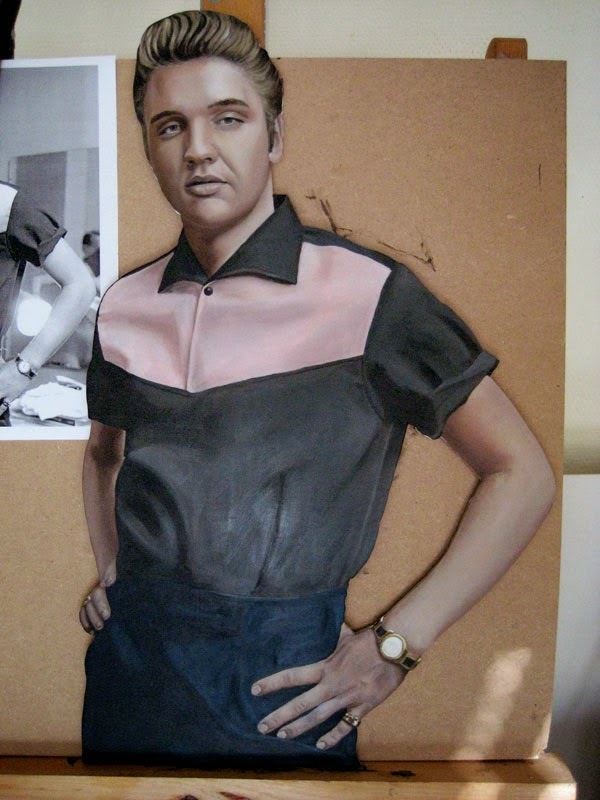 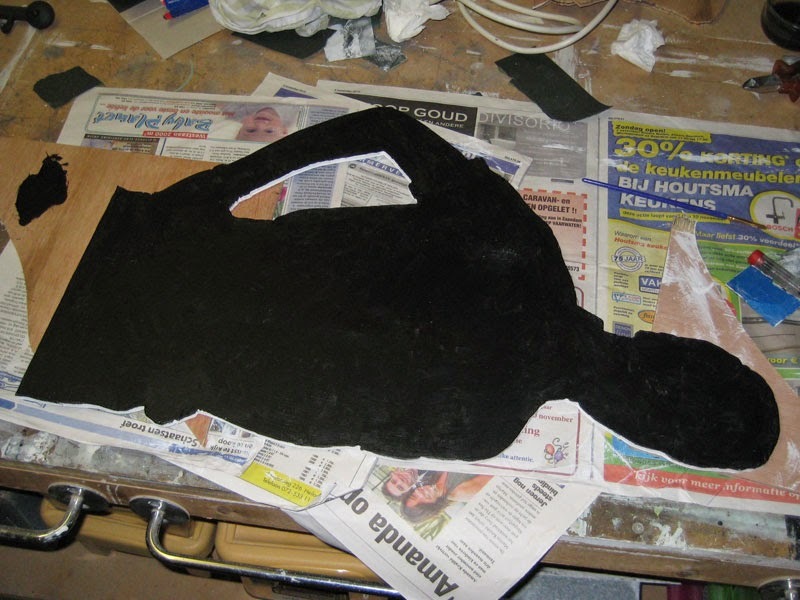 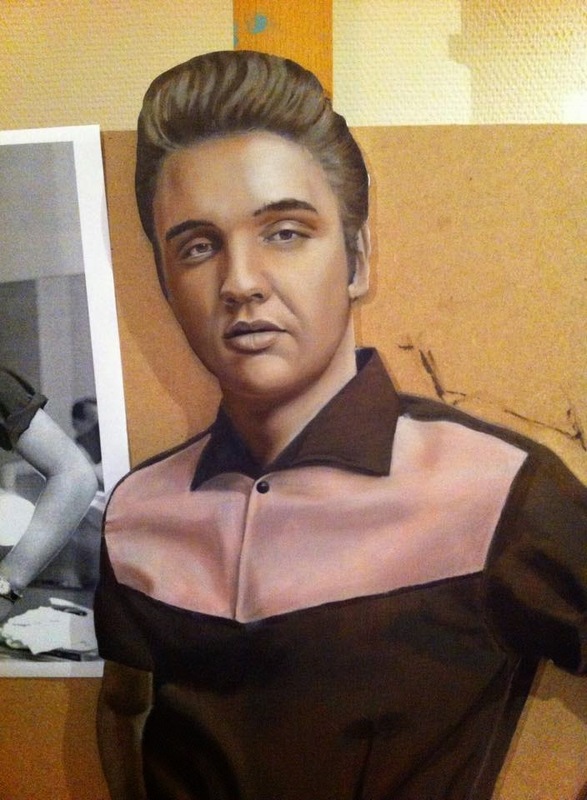 Here’s an update for my Cut-out Elvis painting. 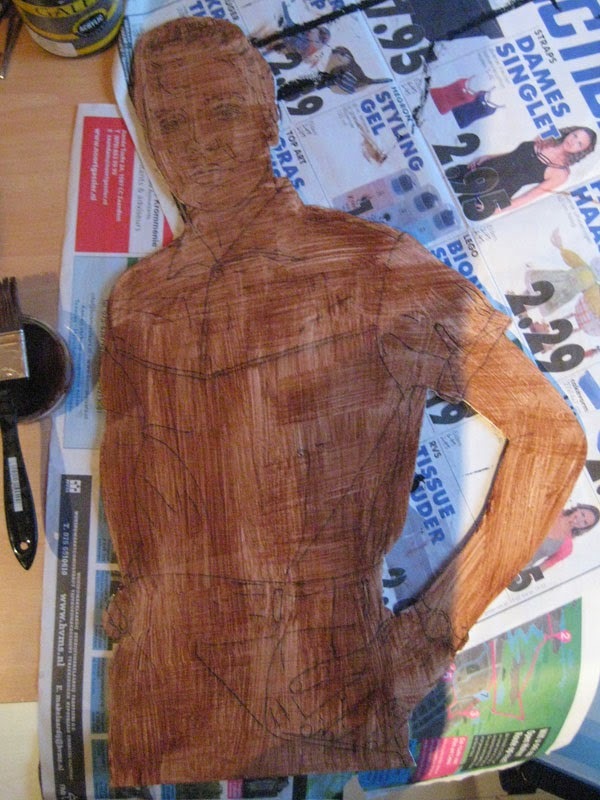 I’m working on the second color layer. 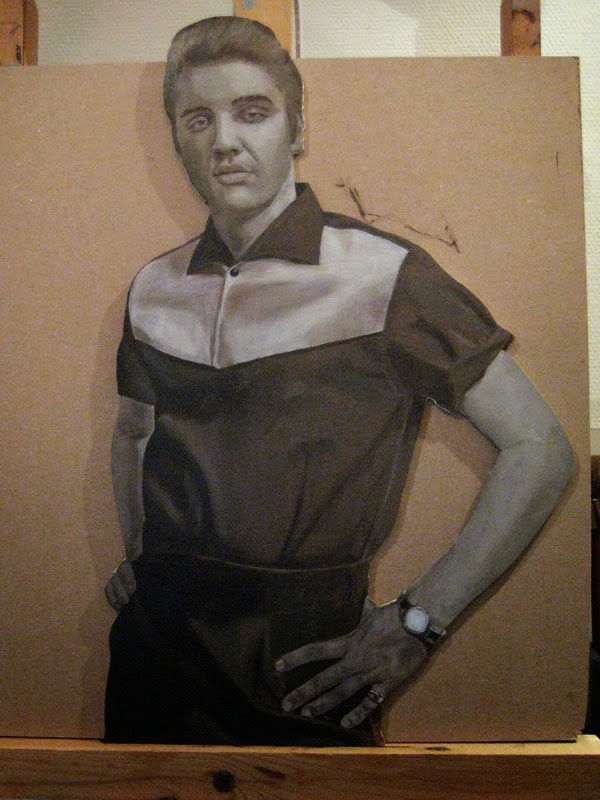 When that layer is finished I need to add details and do some glazing.